Apple is famous for its secrecy, but keeping its products under wraps has some downsides—most notably the Apple Maps debacle of 2012. The company tested Maps internally in Cupertino, but didn’t realize until it was too late that its mapping data wasn’t all that accurate beyond the radius around 1 Infinite Loop. “The reason you as a customer are going to be able to test iOS is because of Maps,” he continued. Apple launched its iOS public beta program with iOS 9 last summer, and has continued with the program in advance of iOS 10’s public debut this fall. The beta program allows anyone to sign up and test iOS or macOS and report feedback to Apple. 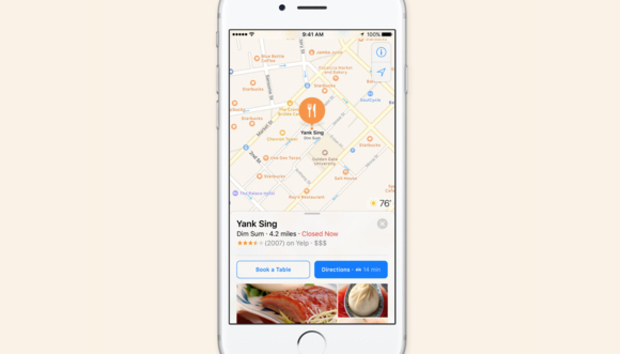 The company has bigger plans for Maps now that the app is stable and reliable. Cue and CEO Tim Cook hinted at a bigger role for artificial intelligence in the Fast Company interview, though they wouldn’t say exactly what Maps has in store. Facial recognition is coming to Photos in iOS 10 and macOS Sierra, one example of Apple applying AI in small but useful ways. Artificial intelligence is the trend du jour in Silicon Valley. Apple’s chief rivals, Microsoft and Google, are making big bets on AI with their own voice assistants (Cortana and Google Now, respectively), but it’s Amazon’s Alexa that has surprised everyone. Amazon moved quickly to take Alexa beyond its own hardware, the Echo, and open up the assistant to other manufacturers. Siri’s launch predates Cortana, Google Now, and Alexa, but critics have said Apple has taken too long to improve its voice assistant. Siri is finally coming to the Mac this fall, and Apple opened its assistant to third-party apps in June. The results of that Siri API will come to iOS 10 next month. Cue, Apple’s senior vice president of software and services, indicated that Apple is moving cautiously with AI because there’s still a gap between what is possible and what is useful. “You’re trying to determine what are the features, what are the ways it can work really well, what are customers looking for, and what are the things you can do that are going to improve their lives,” Cue told Fast Company. That’s why Apple’s AI efforts are subtle, for now. Siri’s expanded powers and facial recognition in Photos are two examples coming to iOS and macOS this fall. But expect big things down the line, especially if Apple keeps acquiring machine learning and artificial intelligence startups like its recent $200 million purchase of Seattle-based Turi.